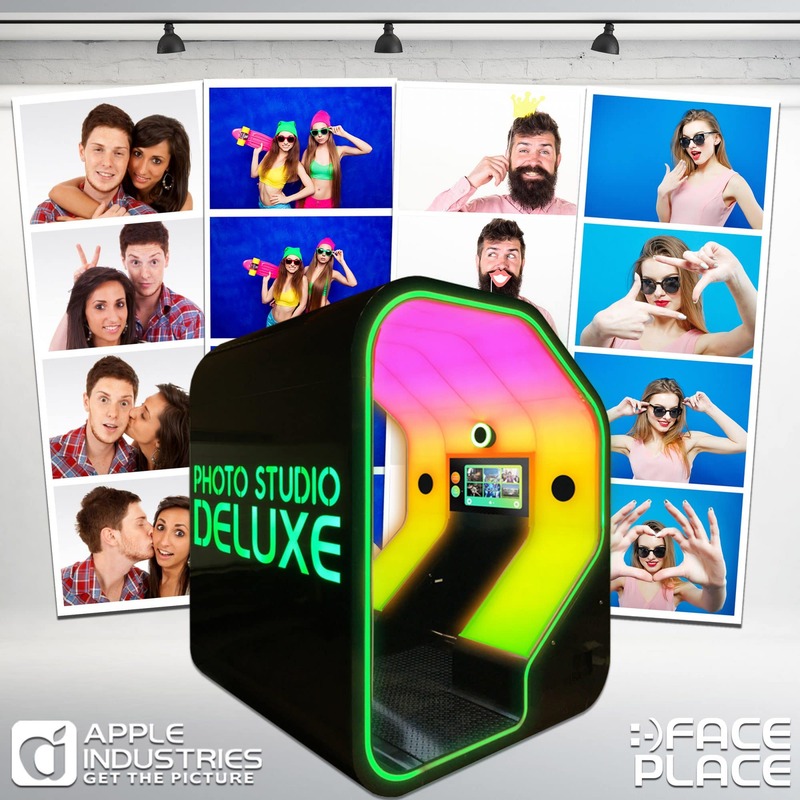 When you own a photo booth or rent them out, you want to offer as much support to your customers as possible. Part of the fun of using a photo booth is taking advantage of the many different types of poses that are available. It is almost impossible to do fun poses with selfies through a smartphone because someone has to hold the phone, but photo booths were made for great poses. When you place your chin in your two hands and have each hand going up the sides of your face, you open yourself up for a whole myriad of fun poses. Once you have the basic chin-in-hand pose in place, the facial expressions you make are up to you. The best part about the kiss on the cheek pose is that it is not limited to any set number of people. You can have one person giving another a kiss on the cheek, or you can have five people giving one person a kiss on the cheek. To make this pose unforgettable, it is important that the person getting kissed give a fun facial expression at the same time. The “Face Off” pose is where you have two people making angry facial expressions at each other as they face off in what looks like a boxing promotional picture. The funnier the faces the two people make, the better the picture will look. Any couples looking for fun poses to try can try the surprise kiss pose to see how that turns out. The couple kisses as they normally would, but one person has their eyes open and is making a surprised look on their face. Once again, the better the facial expression, the better the photo. With a photo booth, you can get full body pictures and that can lend itself to some great poses. For example, you can pick any part from your favorite dance and freeze in place for a great picture. If there is a particular dance scene from your favorite movie, then you can re-enact it for the photo booth camera. The fake moustache on a stick, a top hat, or a big pair of glasses are simple props that can create fun pictures. If you want props to help create a fun picture, then you should use a minimal amount of props and a lot of personality to get the perfect pose. Never underestimate the power of a good thumbs up pose with a broad smile. You could even throw in a prop pair of glasses or some other facial decoration that could make your thumbs up pose even better. One of the more popular cute photo booth pose ideas is for two or more people to strike the same facial expression and then freeze for the picture. For example, everyone could strike the same serious thinking pose for a picture, or you and your loved one could both try and make the same wide-mouthed smile. It can be fun to use famous poses from history, movies, television, or anywhere else to create your photo booth poses. For example, sitting with the Mona Lisa smile can make for fun pictures, and so can standing rigid while giving the Mr. Spock hand gesture. There are plenty of pro football touchdown dances that sports fans can emulate as their cute photo booth poses. With touchdown celebrations now legal again, there are plenty of new celebrations to emulate.